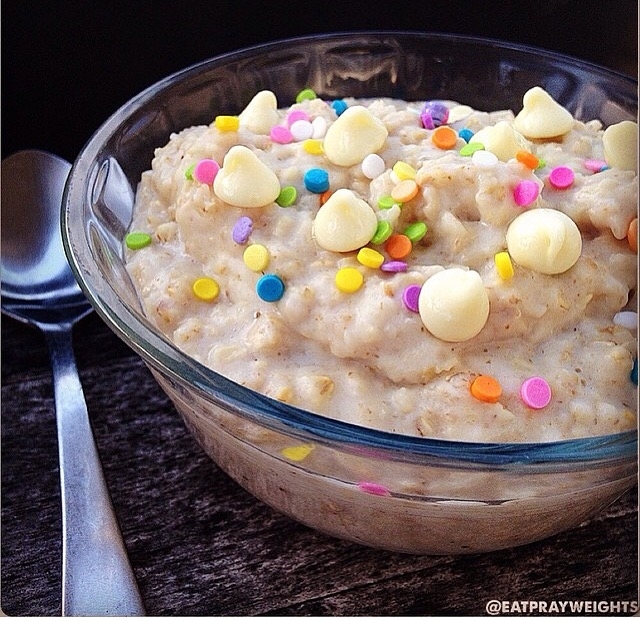 What is better than white chocolate and sprinkles for breakfast? Nothing! Cook oats in 2/3 water on the stove. Once cooked, add protein powder, extract and milk. Top with white chocolate chips and sprinkles!